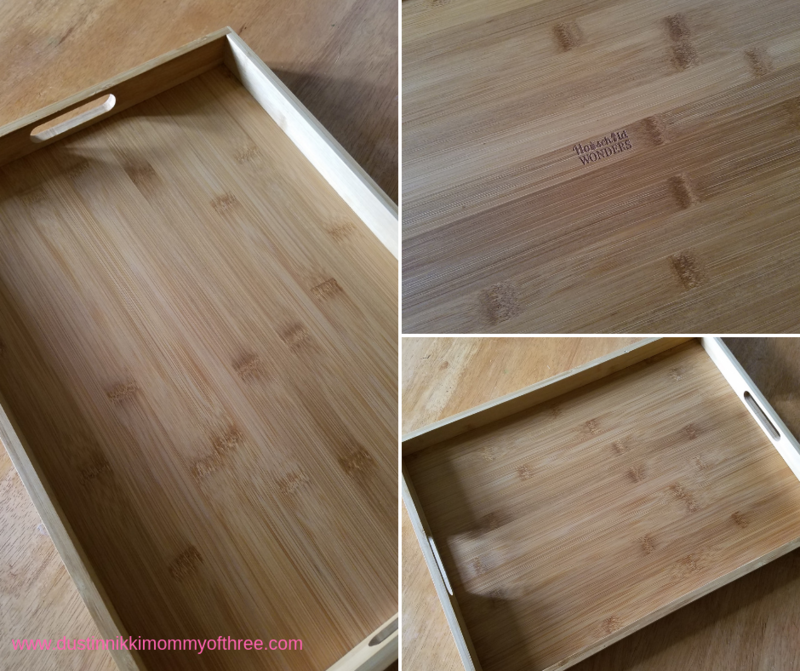 This Household Wonders Bamboo Serving Tray is so Beautiful! 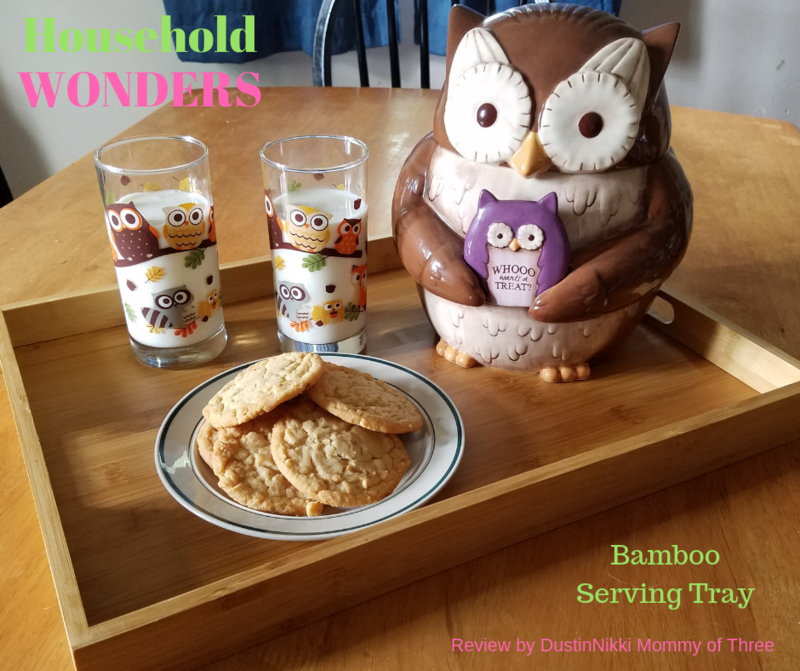 I recently received an opportunity to collaborate with Household Wonders on a review and they sent me one of their gorgeous Bamboo Serving Trays. I fell in love with it as soon as it arrived. The tray is really pretty. I love that it is made of bamboo. It’s a really great size serving tray. 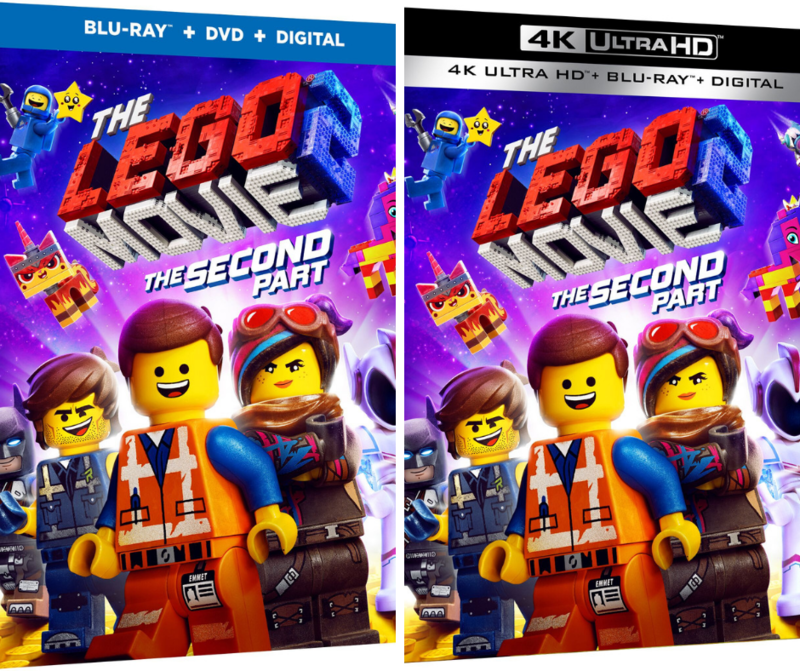 The outer dimensions are 18.9 x 13.8 x 1.6 in and inner dimensions are 18.1 x 13.0 x 1.2 in. This tray can carry a whole dinner. It’s big enough to hold a dinner plate. I was actually able to place two dinner plates on it and a couple glasses and silverware. I did this when my husband and I decided to eat in the living room while watching a movie. The kids weren’t home so I didn’t make it a big deal to eat dinner in the dining room like we usually do. There are two handles, one on each side which makes the tray easy and comfortable to carry. One the back of it Household Wonders is engraved on the back. I still can’t get over how beautiful this tray is. I am not kidding when I say it is very sturdy. That’s one of the reasons I love bamboo products. It’s very strong, durable and long lasting. The grain is really pretty and it does have a nice finish to it. That being said, I never noticed anything sliding around on it as long as you aren’t doing something silly as you are carrying the tray. I love how the handles make it easy and comfortable to carry. It does have a bit of weight to it but not so much that it adds too much extra weight making it difficult to carry. 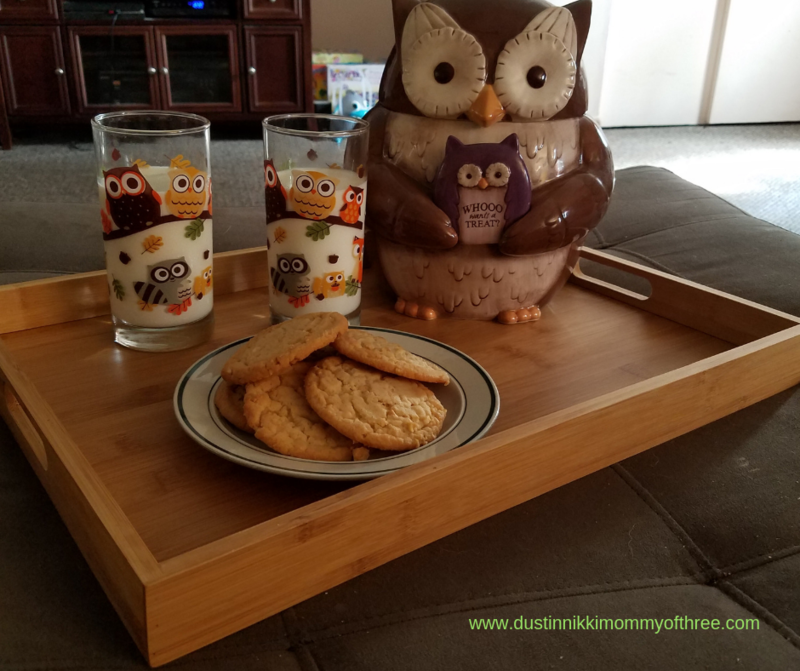 I used my tray last weekend to carry a bunch of treats and snacks I made for our son’s birthday party to the table. That was so much easier than carrying a bunch of stuff in my arms, that’s for sure! As I already mentioned, it has been used to serve meals too. Sometimes we like to have a big family breakfast in the morning and we sometimes sit out on the front porch. This tray makes it easy to bring food and drinks out to the table on the porch. I am going to miss doing that when the weather gets too cold. Not only can this tray be used for serving meals, snacks, party entertaining, etc. – It also makes a nice decorative piece. The tray might have some good size to it but it is easy to store and doesn’t take up much space. Instead of putting my tray away somewhere, I like to sit it on our rather large ottoman. We don’t have a coffee table so this tray comes in handy to sit on the ottoman when not being used to serve anything. It looks pretty mice sitting there on my ottoman holding a flower vase and all our many remotes. Because for some reason we have like 47 of them. I absolutely love this tray. It’s very strong a durable. It can carry a lot of stuff because the size is great. This tray also looks great as a decorative piece and it’s really pretty. 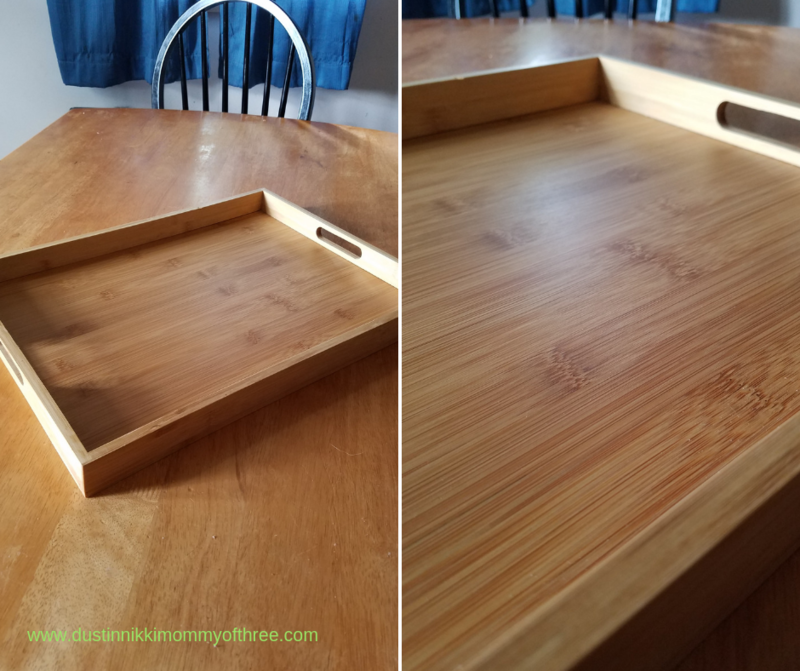 After using this tray I can say it is made with great care and is really great quality! 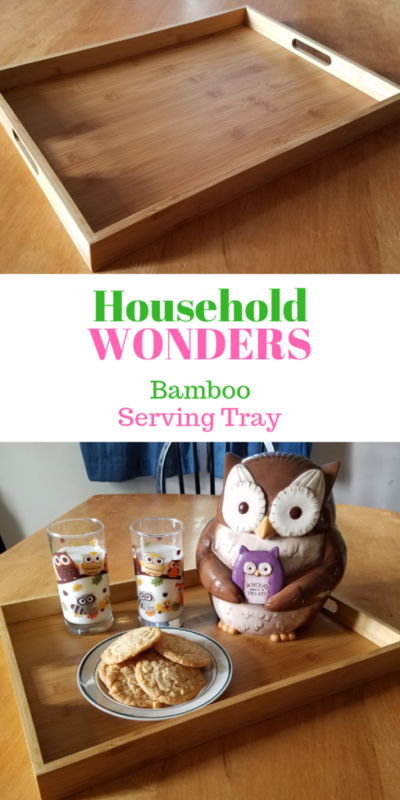 Buy It: Make sure to check out Household Wonders for more information and to buy your own Bamboo Serving Tray. 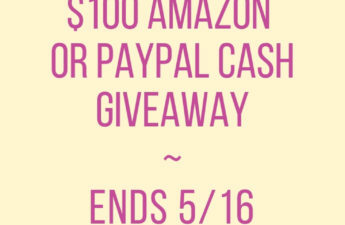 You can also use the following promo code to get $15 off your order and the promo code also includes in free shipping. 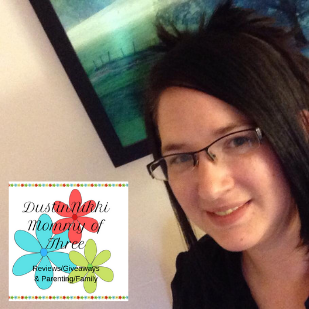 Follow the link – https://householdwonders.com/discount/DNMOMMYOF3 and use promo code DNMOMMYOF3 at checkout. Disclaimer: I was not compensated for this post. 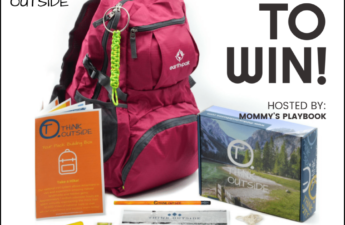 However, I received free product(s) mentioned in this post from a representative of Household Wonders in exchange for my honest review. All opinions expressed in my review are 100% my own.